Using Instagram has many advantages including speed, reliability and convenience for parents and staff. It also provides us with the easy ability to post short video clips, which we hope you will enjoy. Each account is managed by the class teacher for Primary classes. Miss Rukin is responsible for the Middle School account and Mr Speirs for the Senior School account. If you are an Instagram user, you can follow the accounts above in your Instagram feed. If you are not an Instagram user, you can still look at posts in a web browser by clicking on the links above and viewing them online. If you would like to sign up for Instagram, you can do so at instagram.com or in the Instagram app on iOS and Android, which is free in the respective App Stores. If you have a Facebook account, you can use that account with Instagram. If you are an Instagram user, you can get immediate notifications when your class accounts post any images. These notifications will come to your phone or even your smart watch! For more information, please see: How do I turn post notifications on or off for someone I follow? on Instagram help. A number of parents have asked for advice on children using Instagram and other social media. Firstly, the terms of service of most social media require that users be 13 years or older to use the service. This is rarely actually enforced, but it is part of the terms of service. The decision as to whether a child should use social media is a matter for parents and children for themselves. In our e-safety teaching about social media, we emphasise the importance of using private accounts for younger users and explore the issues around cyber bullying. Our Acceptable Use Policy, which is sent home at the start of every year, explicitly forbids the use of personal smartphone cameras in school except under the supervision of a teacher. Further, our policy also covers any technology use in school - whether personally-owned or school-owned. 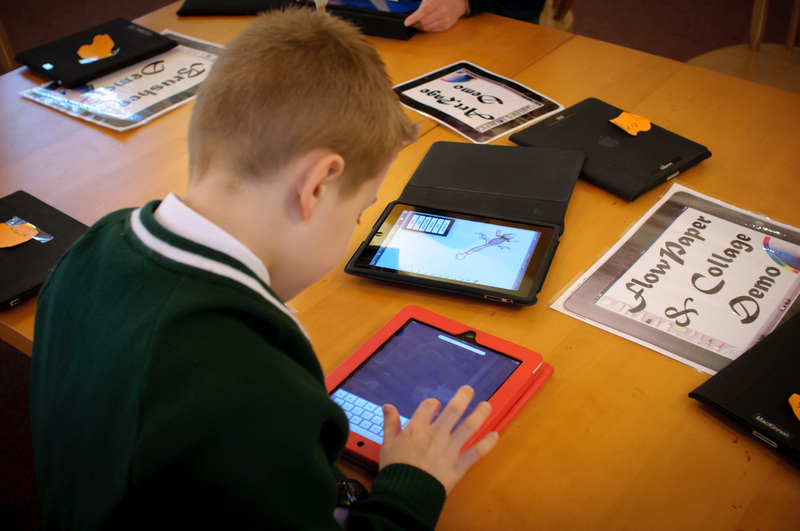 On school iPads, pupils cannot install their own apps, so younger users do not have access to these apps on school hardware. Pupils do not need to have an Instagram account to access the blogs - this can be done, as before, on a desktop browser by following the links above. If you are concerned about your child's use of their smartphone camera, you can enable restrictions on iOS devices quite simply by following the instructions on Apple's Support Site. Restricting the camera on Android devices is more complex due to the wide range of hardware available. Please consult your handset manufacturer's website.